Cookies are small text-only files that we store on your computer once you have given us permission to do so. They are designed to store small amounts of information about the way you like to use our site whenever you visit us online. This stored information then allows us to recognise you every time you visit the site, which allows us to tailor your online experience and make it easier for you to find the things you’re interested in, and avoid the things you’re not. Cookies also enable us to do things like save your password, so you don’t have to re-enter it every time you visit us, and store your products in a basket between visits so you do not lose them. 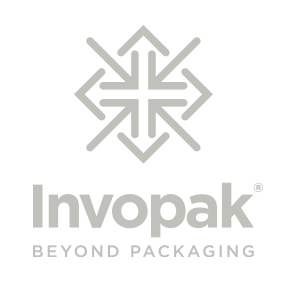 You may notice that not all of our cookies are related to Invopak. If you are browsing a web page that contains content embedded from a third-party website, you may be sent cookies from this website. We do not control these cookies, therefore we recommend you check any third-party websites for information on how to manage them. Most browsers will automatically accept cookies, however you can usually change your browser settings to decline cookies if you prefer. It is your choice whether you wish to accept or decline cookies, however choosing to decline the cookies will mean that you are unable to navigate the Invopak website further.